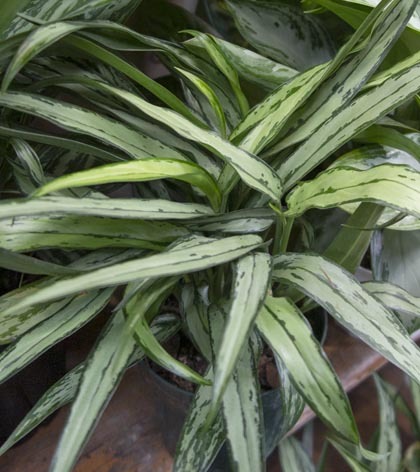 I have been told recently that many are reading my monthly email not for the plant photos – The Plant Photos! – but for my jokes. Not for the accurate and informative plant descriptions – Plant Descriptions! – but for my tossed-off passing-for-humor “jokes”. Hmmmm…. 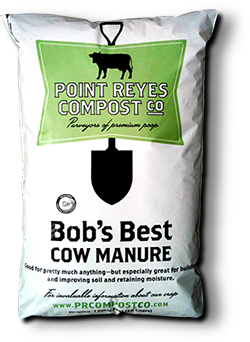 Please note that we do not carry Pt. 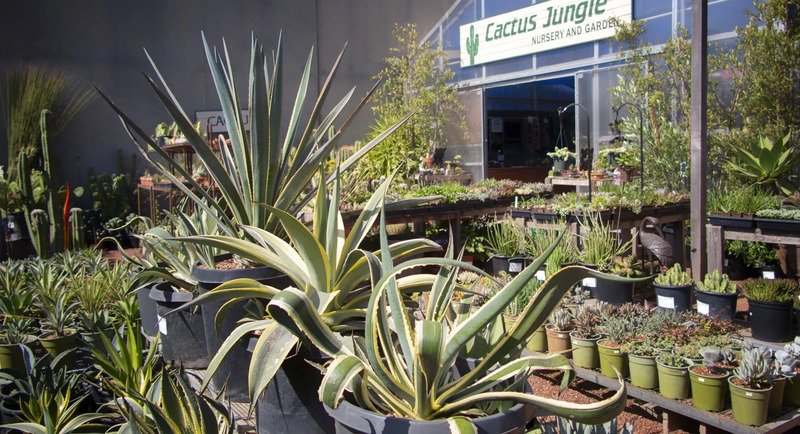 Reyes at our Berkeley store, so the sale is only at the Marin store! 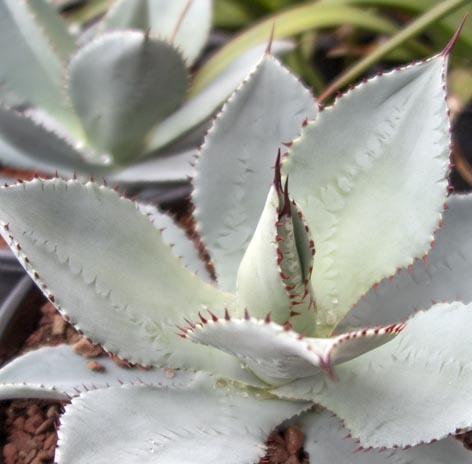 Agave pygmaea is more commonly known as Dragon Toes. 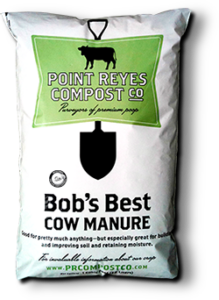 I do not understand – common names are weird! Any thoughts? I googled “dragon toes” and got to a recipe for scallops with bacon and habanero peppers. This makes no sense. An image search took me to this picture and I do not see the resemblance. Mystery! 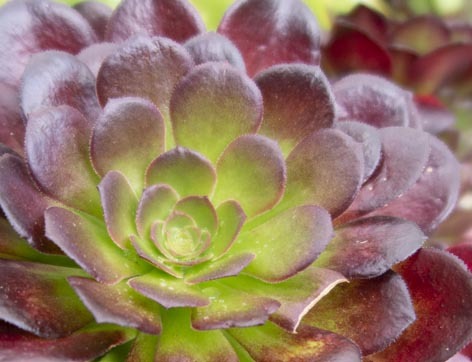 Aeonium “Garnet” is sort of garnet-colored, if you don’t pull up a garnet color swatch to compare it to. I would have called it “Ruby”. 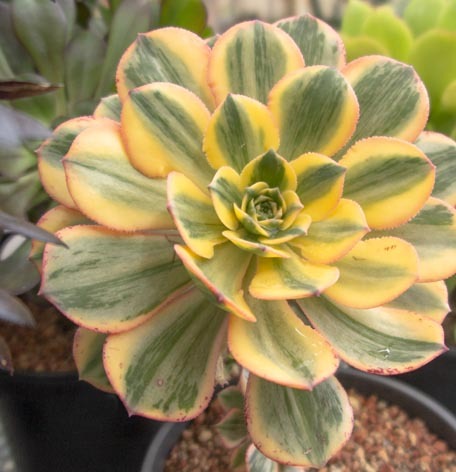 Aeonium “Sunburst” on the other hand really is a burst of sunshine in the dead of winter. Echeveria “Lipstick”. Wait did I say it was the dead of winter? I didn’t mean that, the pressure must be getting to me. Spring! 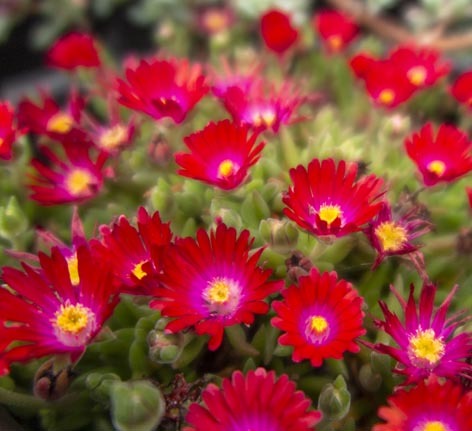 Delosperma “Ruby” and here it is! The “Ruby” color we were waiting for! 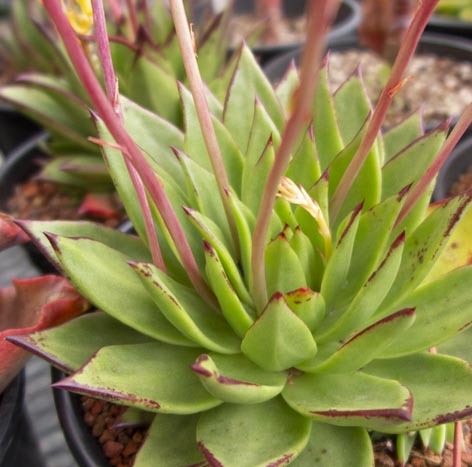 Wait, now I’ve lost track, this “Ruby” ice-plant looks more like a “Garnet” while the “Garnet” Aeonium above looks more like a “Ruby”. That much is clear. Science! 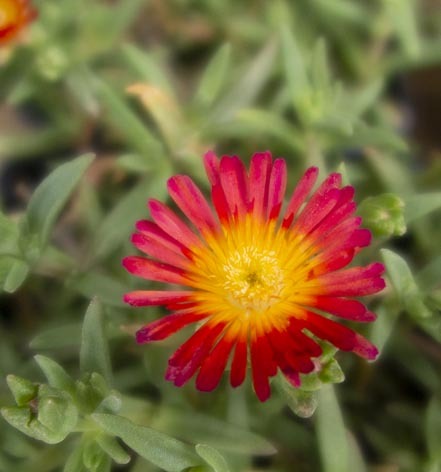 Another fun Iceplant succulent is this Delosperma “Fire Wonder” and we can all agree that it’s a “wonder” they called it “Fire”. “Wonder”. I think I’m trying too hard. Maybe I should have quit last month. Goodnight! 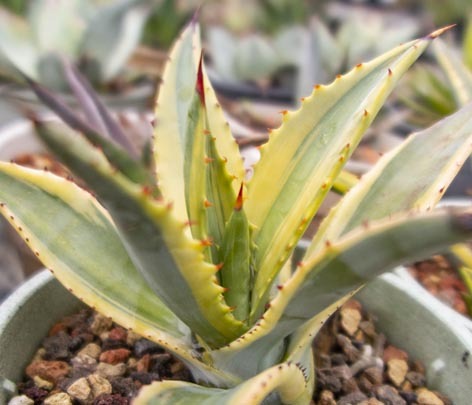 Agave murpheyi “Rodney” is a narrow-leaved century plant from Mexico. I should keep it simple like that, no worries, no mess, just describe what I see in the picture. I’m doing OK now. I can do this. 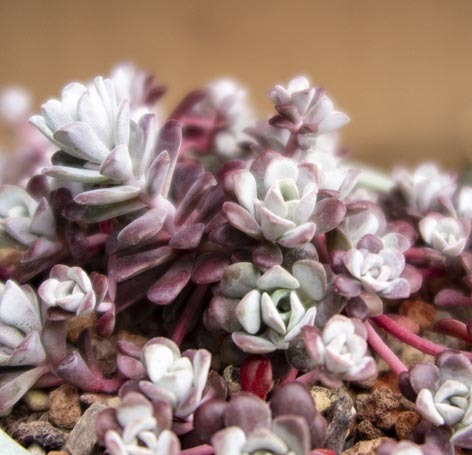 Sedum spathulifolium “Carnea” is the Northern Cal native tiny cliff and rocky beach succulent with the purplish and white hues. Easy now, that’s good. I can do this! Groundcover, or rock-gardens. Good, good. Here we go. 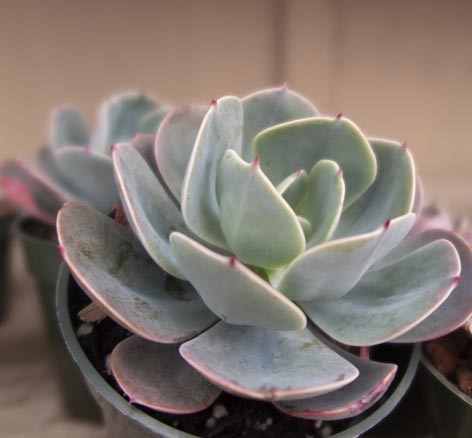 Echeveria “Blue Boy” is a very handsome succulent, easily classical in it’s proportions. Nice edge color. Good undertones. Not too fancy. 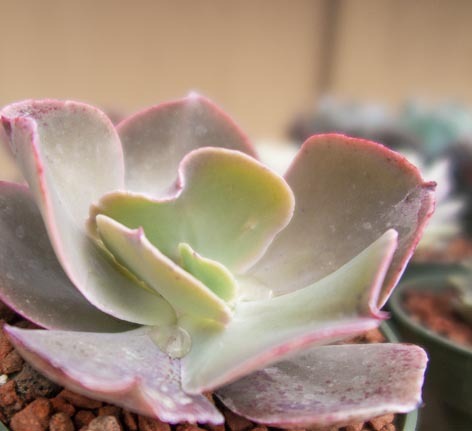 Echeveria “Bittersweet” is like chocolate. Nope, that’s not where I want to go with this. Writing is hard! White chocolate? Nope! Don’t do it! 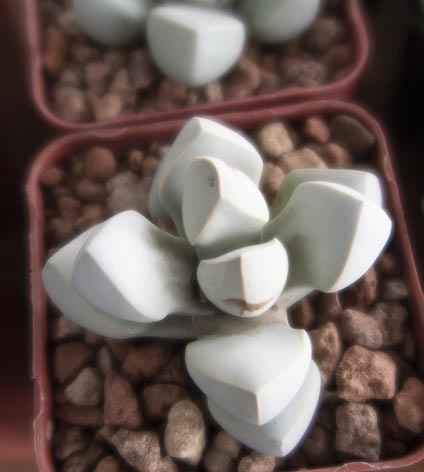 Lapidaria margaretae is the first of the rare Mesembs for today. It is the angular one. The next one is the rounder one. But the next one is the purple one, so that makes this one the white one! That’s how you can tell them apart, by the colors. 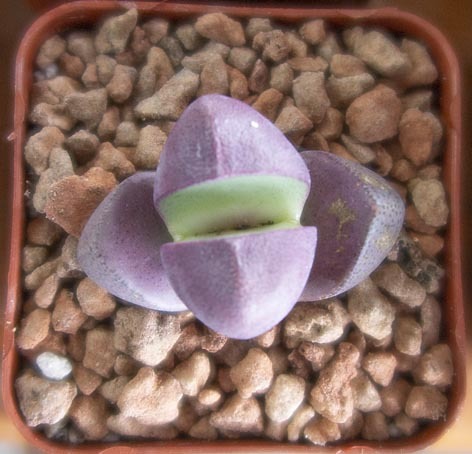 Pleiospilos “Royal Flush”, oh yeah, that’s purple all right. Ahhhh! It’s the Olulu! Everyone has been waiting for these since last we had them about 4 years ago. Brighamia insignis is that extremeley rare plant from Hawaii that grows on cliff edges and is pollinated by a single moth species that is extinct so the only way they get to reproduce in the wild is if humans hang themselves off the edges of the cliffs and hand pollinate these as a special favor to the plants. Wow. 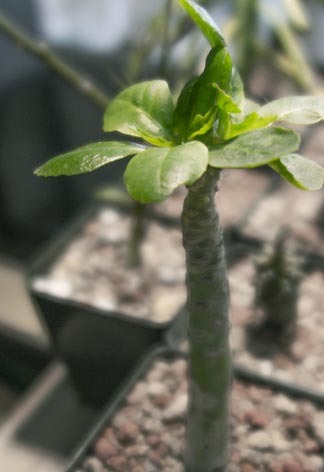 Cyphostemma cirrhosum, it’s a caudiciform grape! 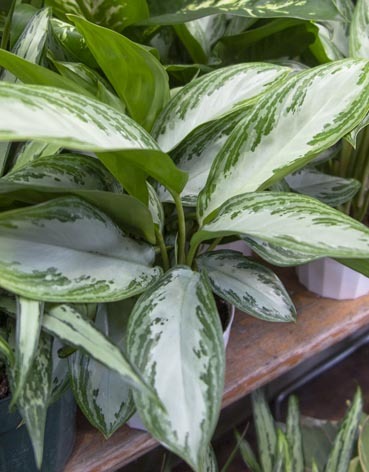 Turns out the botanical latin origin for this name is Greek: Kypho means hump, so you know this is going to be a good name. Stemma means something else, and then you end with that whole cirrhosus issue which I prefer not to look up, you can do that if you have a medical dictionary handy but I don’t recommend it. Bleh. 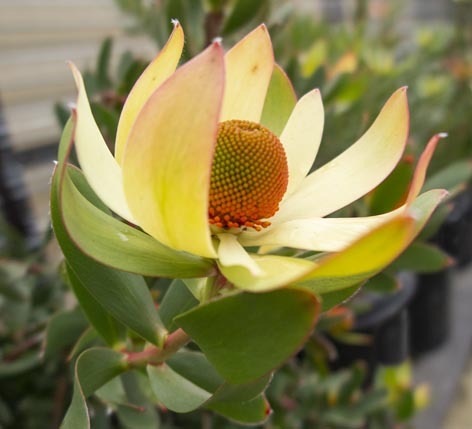 The Protea family plants are bursting with color. So much rain leads to so many flowers! 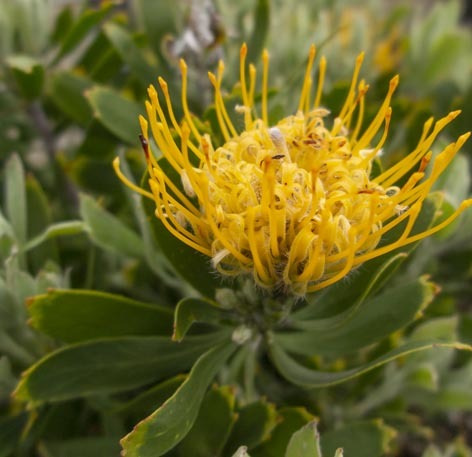 Leucospermum cuneiforme has bright yellow pincushion flowers. Most of the Leucadendrons aren’t as showy as this L. “Cloudbank Ginny”. Again with those names! Who’s doing this to me? Ceanothus “Dark Star” is the deepest blue of the California Lilacs which is not really Lilac at all now that I think of it, it’s blue. 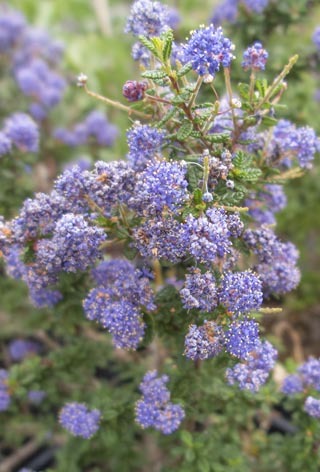 Or lilac. Yeah, maybe it’s really lilac after all. 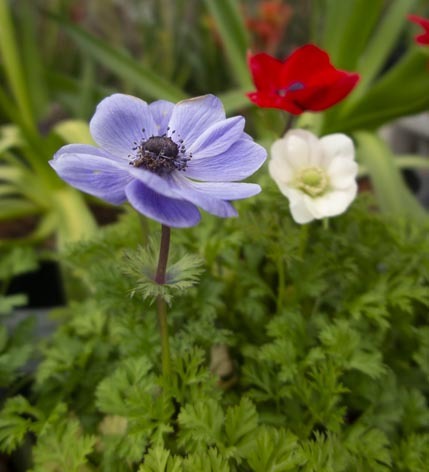 Anemone coronaria blooms many colors and is gorgeous. 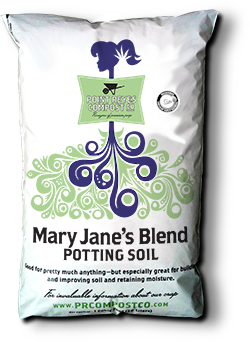 It’s a bulb that you can plant in the fall or just go straight from potted plants in the spring, either way, no preference. All 3 of the flowers in the picture are from these bulbs. 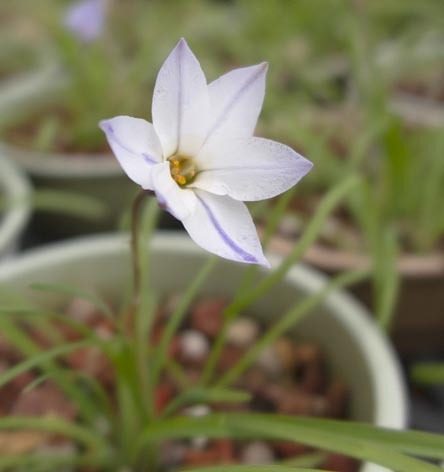 Ipheion uniflorum is another spring bulb, this one called Spring Starflower, clever name. Finally we have another crop of a wide range of very colorful Cape Daisies. 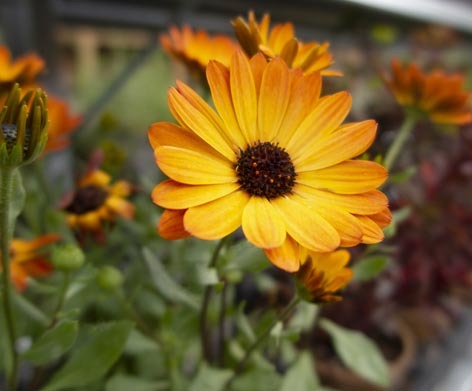 This fire-orange one is Osteospermum “Margarita Orange Flare” and I think the “Flare” refers to the flame-like flare of color, not to the kind of flare that waitresses sometimes have to wear. Pop-culture-reference! 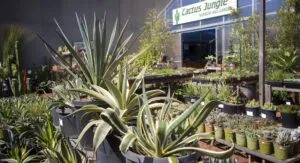 We are expanding our houseplant sections at both stores this year, bringing in new varieties, new genuses to us, new hardy and easy to grow plants that can handle the lower light levels you have inside your house that aren’t right up against the windows where you keep all your sun-loving cactus and succulents but further back inside where you need to have a plant that handle it. 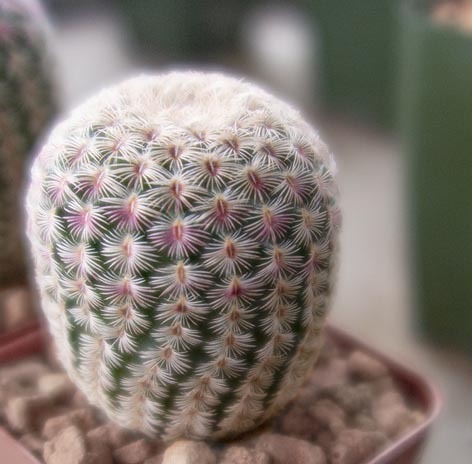 These are Aglaonemas. 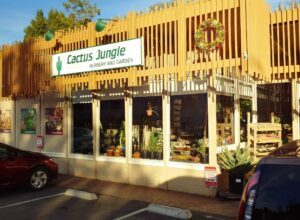 Also commonly known as Chinese Evergreens. I do not know why. 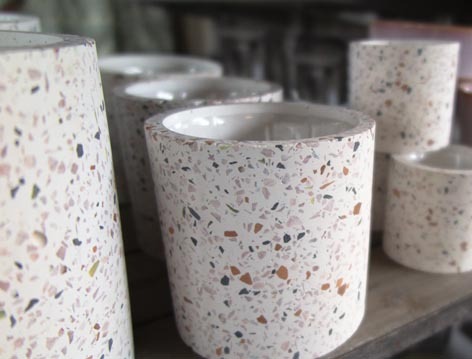 They are evergreen, and they are from China. Oh, OK, I get it! 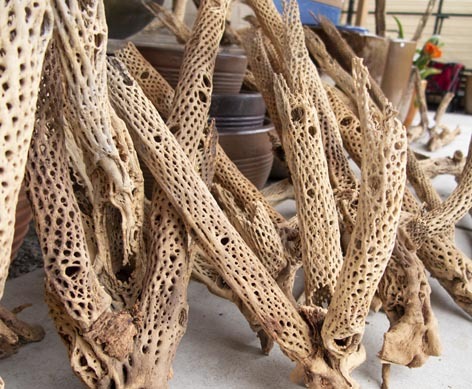 We also now have big pieces of cholla wood – awesome for decorative uses or for mounting airplants. 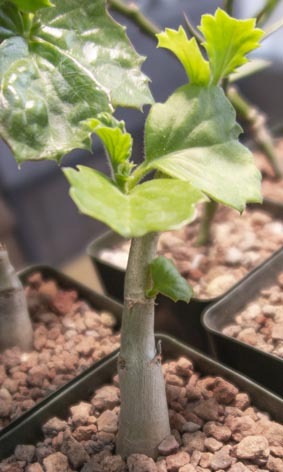 We also have a shipment of grapewood, which to be honest are even better for mounting. POSTSCRIPT: I think the pressuuuuure got to me this month. I need to loosen up next month and just be me. Lesson learned. These will now be dry and uniformative going forward. Enjoy! Or it’s the head cold I have. Hah! hunh. Read Cactus Blog, updated daily! More Pictures on Instagram here and Here too!